Quantum dots (QDs) and silica nanoparticles (SNs) are relatively new classes of fluorescent probes that overcome the limitations encountered by organic fluorophores in bioassay and biological imaging applications. We encapsulated QDs and SNs in liposomes and separated nanoparticle-loaded liposomes from unencapsulated nanoparticles by size exclusion chromatography. Fluorescence correlation spectroscopy was used to measure the average number of nanoparticles inside each liposome. 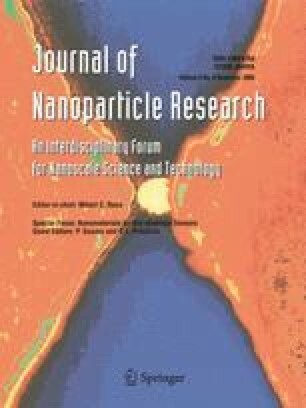 Results indicated that nanoparticle-loaded liposomes were formed and separated from unencapsulated nanoparticles by using a Sepharose gel. As expected, fluorescence self-quenching of nanoparticles inside liposomes was not observed. Each liposome encapsulated an average of three QDs. These studies demonstrated that nanoparticles could be successfully encapsulated into liposomes and provided a methodology to quantify the number of nanoparticles inside each liposome by fluorescence correlation spectroscopy.